Javier Duarte, the unpopular governor of Veracruz, recently visited the city of Orizaba. He intended to record video footage for his upcoming state address, but he did not walk undisturbed. Araceli Salcedo, the heartbroken mother of an abducted child named Fernanda Rubí, confronted Duarte and shouted accusations at the governor for several minutes. She cried out, “This is not fair! You are here with your family. But my daughter– Where is she? !” According to news sources, Salcedo’s daughter has been missing for more than three years, but local officials have refused to help her family search for the young teen. As a result of the video below (which has gone viral), the governor has invited Salcedo to a meeting with the state department of justice. Organized drug trafficking groups, known as cartels, carry out most of the kidnappings in Mexico. This likely occurs for several reasons. As cartel operations increase in Mexico, the groups look to expand their revenue beyond the sale of substances. This becomes even more relevant as the income from drug smuggling decreases due to competition from legalized marijuana in the U.S. and opium from Afghanistan. Finally, rampant- and random- killings and kidnappings repress and terrorize populations. This has the additional effect of making people, on the whole, less likely to confront the known criminals in their communities. 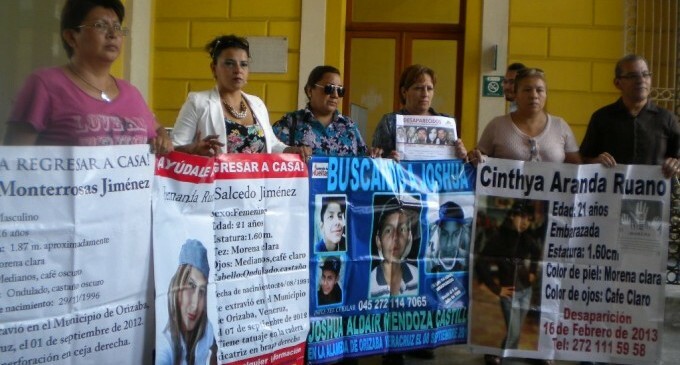 Because kidnappings often target young women in Mexico, many observers have claimed that “femicides” (random and rampant killings that target women) are a pillar of the cartels’ multivalent effort to inculcate fear in Mexico. In other words, organized groups are battling for control of the country, and the torture, murder, disappearance, and trafficking of women are at the forefront of their war strategies. The government has denied this reality for many years, but they have recently issued a “gender alert” for much of the state of Mexico. State authorities have finally been forced to acknowledge the crisis. On my way to the archive each day, I stop by a local newsstand after buying a cup of rich coffee, which is famously produced in the mountain valley. The periodicals greet me with shockingly violent reports. During my first week in town, five people were shot in a bar, including a student, a journalist, a cartel member, and several bystanders. On independence day, bullets rang through the downtown corridors as federal forces filled a car- and the teen inside– with bullets (for reasons that the press could not identity). Over the course of one weekend in September, thirteen people were shot and killed in Orizaba and the immediate area. In one area of town, just minutes from the center, there are reportedly six deadly shoot-outs each week. This is a small residential city of less than 100,000 people. These events began to frighten me more deeply when a deadly shooting occurred in from of my daughter’s school, several hours after we had left for the day. Shortly after, a sign appeared on the door. It read: “Please attend this important talk on how to prevent child abduction.” Then a fake persona contacted me on facebook, claiming that he had been watching my movements in Orizaba. “Why don’t you brush your daughter’s hair when you take her to school?” the imposter wrote. I asked the school principal if I should report to messages to anyone, and she confided that she had recently received two extortion attempts, leveled via telephone, directed at her small children. But she also said that it is safer not to report the threats, because local authorities are often complicit, and because it is best not to show fear. On Saturdays I often choose to stay in our comfortable home instead of risking a trip to town, or a hike up the historic “cerro del Borrego,” where the invading French army won a battle against the Mexican forces and established camp in 1863. When I look out the window, I sometimes see mothers hurrying down the street, nervously grasping their children’s hands and glancing over their shoulders. Some activists and journalists accuse Duarte of more than indifference: they imply that he has allowed- or even encouraged- the murder and disappearance of activists and journalists in his state. The international NGO Reporters Sans Frontieres has declared Mexico one of the most dangerous countries for journalists– with more than 80 killed (and 17 disappeared), in the last decade. Veracruz stands out as the most dangerous state, where 14 journalists have been murdered in the last five years. The deaths are widely attributed to the media blackout held by two major Mexican cartels, in combination with government repression. For reporters, speaking out can often mean death. This was the case for Ruben Espinosa (a photojournalist), and Nadia Vera (an activist) who were tortured and murdered in Mexico City this summer. They had both taken refuge in Mexico City after receiving death threats in Veracruz. In a chilling statement several months before her death, Nadia announced: “if anything happened to [her], the governor should be blamed.” Shortly after these political murders, two activist professors were kidnapped in Xalapa (the capital of Veracruz), where they taught at the state university. Their disappearances are also rumored to be politically motivated. When questioned about violence towards journalists in his state, Governor Duarte has displayed little sympathy, and has even issued the cold warning that “journalists need to behave themselves.” Many commentators interpreted as a form of blaming victims for the violent ends they have faced. These accusations hit hard in light of the broader political climate of Mexico. The country came under international criticism when reporters revealed that the federal government knew in advance about the collaboration between local officials and cartel members who kidnapped and murdered 43 students last year in Ayotzinapa. Even the U.S. (a longtime supporter of the Mexican government), has docked funds from Mexico, citing the slew of human rights abuses that have come to light in the last year. As a historian, news of violence in Mexico is not particularly surprising. On an economic level, Mexico is at the front of neo-liberalism. In fact, it is the only country in Latin America that plunged more deeply into poverty last year. Human rights abuses have been rampant (and rampantly protested) since the 1968 slaughter of student protestors at the Olympics. Ideologically, Mexico has long been home to a strong contingent of leftists (anarchist sympathizers, radical- and often problematic- worker unions, activist student organizations, teachers in poor rural areas, indigenous and campesino activists, and leftist intellectuals). These groups have consistently clashed with the authoritarian ruling party, which is socially and political conservative, and which has often backed by the socially conservative middle class. This party, the PRI, has enjoyed almost uninterrupted control of the country for the last 75 years. The PRI has stayed in power through clientalism, gifts for the poor (including heavy subsidies of utility bills and appliances, free milk, and food stamps), outright bribes, purchasing of votes, fixing elections, political assassinations, and appropriating the membership of unions and other groups. They have also become experts in appropriating the rhetoric of social struggle and indigenous/women’s rights. If Mexico has never been a democracy, as many historians assert, it is not one now. I would like to conclude with one more comment on Araceli Salcedo’s brave performance several weeks ago in Orizaba. She stood directly in front of the governor, blocking his path as he tried to walk past her with a smug smile on his face. Posturing with a confidence born of anger, and holding a sign that featured a large picture of her daughter, Araceli trembled with emotion as tears streamed down her face. In a society marked by polite speech patterns, it is remarkable that Salcedo screamed: “You act as if you don’t even care! Stop laughing at me, and wipe that smile off of your face, Mr. Governor. Wipe that smile off of your face!” “I want you to know,” the mother choked out, “that I have not really lived since that day [the abduction of her child].” Decades ago, Chilean mothers eventually forced the international community to recognize that their children had been tortured and murdered under orders from the authoritarian dictator Augusto Pinochet. Perhaps Salcedo, like those women, spoke so bravely because she knew that her words echoed the pain of thousands in Mexico. The bi-national “war on drugs,” according to many, has been a failed effort: it has not stemmed the drug trade, a fact highlighted by the copious production of opium in the deadly southern Mexico state of Guerrero. Meanwhile, over 100,000 Mexicans have been murdered or disappeared in a war that they do not deserve to be entrenched in.